Today we are discussing how to plan out one month of content! Not just any topics but topics that are specific to your business. Whether you want to highlight a series of services you offer or your blog, you will need have a clear sense of what you want to share in order t create a cohesive strategy. 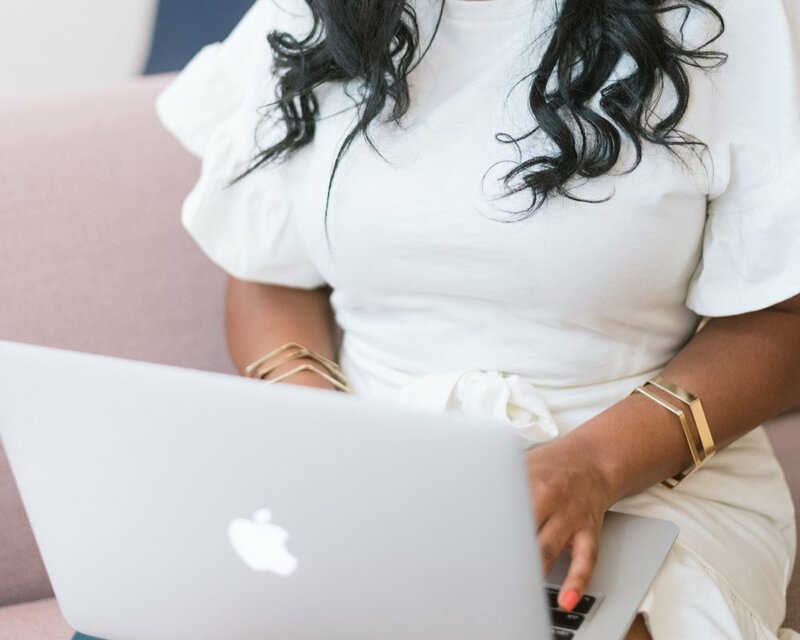 At Auden & Company, the core topics we discuss on social media are brand launches, mood boards, blog post, highlighting fellow girl bosses, individual project assets, & well US! As a photographer you topics may be You, Your Work, Client Experience, Behind The Scenes, & or Photographer Education. Both Auden & Company & the photographer have chosen topics that highlight our services. Your Activity is to choose 5 to 7 topics for your brand that you will rotate through. Before we get into step two, we want to point out that not all of your social media platforms will cater to the same audience! Which means that content that you post per each topic or even the topics you share may differ depending on the platform. While we preach consistency when posting on social media we also want you to understand that some platforms will not require you to post continuously. Each platform offers a unique aspect that will cater to a different sector of your audience differently. Facebook: is great for photos and blog posts. High Quality photos and call-to-actions help your post stand out. Pinterest: The prettiest search engine to grace search engines! When you ‘pin’, the pin has the ability to grow and live on well beyond your one pin! Which makes Pinterest a great referral tool for your business! Twitter: Short & Sweet! Twitter offers a platform for to the point content! I recommend business owners use Twitter for their personal professional brands or creating a persona for your twitter profile.. Which platform is your audience more engaged on? Which platform is your ideal client using? Which platform can your brand live without? Your Activity: Using your 5-7 topics & platforms of your choosing make a rotation plan. Now that your rotation schedule has been created let’s discuss making your job simpler. Use a scheduling tool to schedule your content in advance! These tools are very helpful when planning your content strategy while you don’t have to use each tool, by simply using two you will cut the time you spend on content in half. Facebook: You can use Facebook’s built-in scheduler to schedule your post in advance. Instagram: You can use Planoly or Hootsuite - Both of the scheduling tools only provide a push notification to your phone. Although Hootsuite has plans that include automatic posting straight to the gram! You also could write up post up on the IG platform & save them as drafts - just depends on if you’ll remember to publish! Pinterest: You can schedule your Pin in advance on Pinterest or you can use Tailwind to schedule your pins in advance! SO you have a clear idea of the content you want to post, the platforms you want to focus on, and tools that will help you be efficient but you still have set aside an afternoon to pour 100% into curating and scheduling your content! But hey it’s only one afternoon! What is your favorite platform to use to engage your audience?